Connextions Magazine Issue 15 - The Pride Issue OUT NOW! The Pride Issue. Featuring World Pride as well as 45 Pride festivals across America. Travel destinations include Hawaii, Hilton Head, Astoria NYC, WEHO, the Massachusetts cape & more. What's Inside the Latest Issue? Read the Editor's Letter below for the scoop on all things travel! Boy, it’s been a busy year for the gays! Marriage equality is on the rise worldwide, and that can only bring about happy couples on happy honeymoons. As such, gay travel is at an all time high. highlights in Austria, coming from a Vienna Virgin! you enjoy your journey - whether it be a travel journey or a life dream. travel guru and he gets personal discussing a trip to the Great Wolf Lodge in the Poconos of Pennsylvania. If discussing wedgies while riding a water slide isn’t personal, I don’t know what is! And since this is our special travel issue and we didn’t bring you a wedding couple, Windy Dean (former track and field championship athlete) gives us her hysterical engagement story, entitled: “The Modern Day Version of Sleeping Beauties”. You really can’t miss this one! has changed a bit, the articles are a little more personal and we’ve added a lot more edge. Drop us a note and let us know if you can handle the sarcasm. We offer you a look at all that Connextions Magazine has to offer with this FREE digital version. If you like it, please consider sharing this link. Click below to find us on the APP store - FREE! Want to see the printed edition of Connextions Magazine? Here's your chance to get it for free. We are sending out a dozen magazines, free of charge, to winners of this simple pinterest contest! All you have to do, is re-pin our latest magazine! 1. Click here to be taken to the Connextions Magazine pinterest board, featuring New Jersey. 2. 'Like' and 'Re-pin' the cover of the latest issue of Connextions Magazine. 4. 12 random winners will be chosen to receive a print copy of the latest issue! Contest ends March 15, 2013. See below for a photo of the pin that needs to be re-pinned. Everything you didn't know you needed to know about traveling the Caribbean on a Carnival Cruise. Includes detailed pricing and a packing checklist. Latest Issue to be Released Nov 1 - Features the Ocean, the Bay & the Mountains! 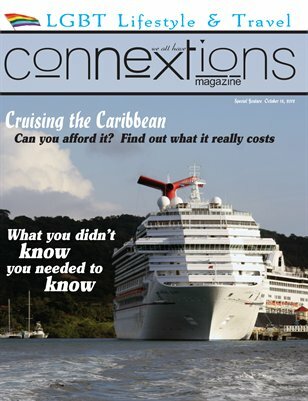 Be the first to receive the latest issue of Connextions Magazine. - Reserve your print copy! - Subscribe to receive a full year of Connextions in your mailbox! - Subscribe to receive notification of the digital release! - Where is the honeymoon capital of the world? AVAILABLE IN STORES NOVEMBER 13th in the USA, Canada, Spain, Portugal, Austria, Taiwan, & Brazil. WIN A FREE SUBSCRIPTION TO CONNEXTIONS MAGAZINE! We want to see the photos of our readers! 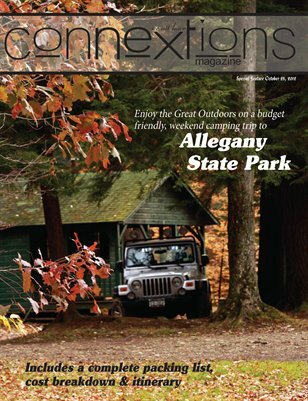 Upload a photo of you, reading the print edition of Connextions Magazine, to our facebook page, and you are entered to win a one-year subscription! Please remember to include the City, State and Country where the photo was taken. Please make sure to only post photos of yourself, unless you have been given permission by any others who may be in the photo. Four winners will be chosen throughout the month of September. Thanks to all who read Connextions! Click to facebook and share your photo.